On November 16, 2018, the Virginia Beach Sheriff’s Office held its 44th Basic Academy graduation ceremony, recognizing 18 deputy recruits’ successful completion of training. prior experience in law enforcement or corrections. Two of the graduates are auxiliary deputies who will serve in a volunteer capacity. Virginia Beach City Councilman-elect Aaron Rouse delivered the commencement address. “I am proud of the public safety community here in Virginia Beach and I look forward to being a part of supporting these fine men and women during my tenure on City Council,” he added. The 16-week Virginia Beach Sheriff’s Office Basic Academy includes training in Virginia law, ethics, cultural diversity, firearms, defensive tactics, emergency vehicle operations and first aid. The graduates also completed rigorous physical fitness training and courses pertaining to the Sheriff’s Office various functions: Corrections, Court Transportation and Security, and Civil Process. They each successfully met the Virginia Department of Criminal Justice Services requirements for graduation and have earned their Basic Jailer and Civil Process certifications. The deputies will be assigned to the Virginia Beach Correctional Center and bring the number of active, sworn Virginia Beach Sheriff’s Office deputies to 424. The application process to become a Virginia Beach sheriff’s deputy is extremely competitive. In the 2017-2018 fiscal year, 154 people applied and 47 were hired. 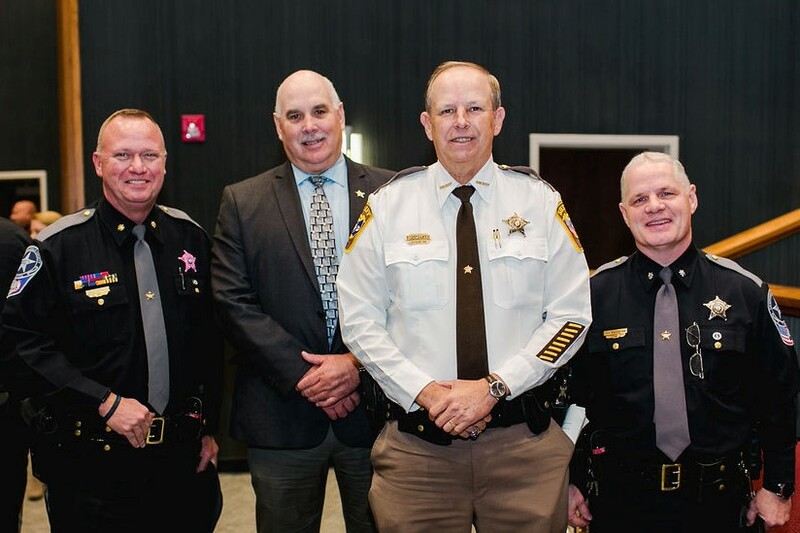 Sheriff Ken Stolle congratulated the graduates and thanked the VBSO Training staff for preparing the recruits to be successful in their law enforcement careers. If you have any questions or require additional information, please contact: Kathy Hieatt, Public Information Officer: 757.570.1923. Pictures of the Basic Academy may be found at the Virginia Beach Sheriff’s Office Facebook page.